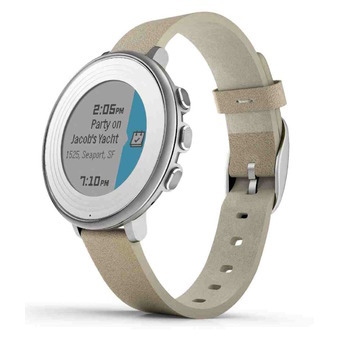 The Pebble Time Round was launched in 2015 and was branded as the world’s thinnest and lightest smartwatch. In this article I will provide you tips, recommended accessories, and useful references for the Pebble Time Round. Most of these items are also applicable to the rest of the Pebble Time family – Pebble Time and Pebble Time Steel. If you are still undecided whether to get a smartwatch or a Pebble Time Round, please check these articles that may help. 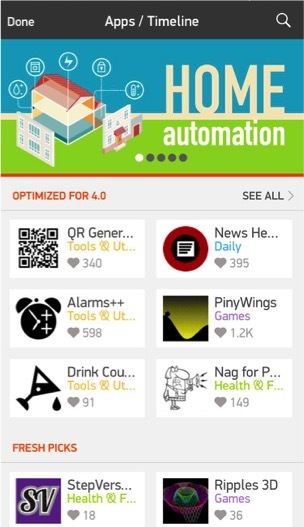 You can easily find what you need by clicking on the topics below. Note that an iPhone was used to test the settings and provide screenshots. There might be differences with an Android phone. After successfully connecting your Pebble Time watch, the firmware should be automatically updated. 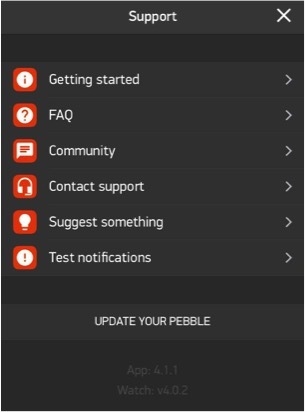 To check for latest firmware and update, go to the Pebble mobile app, click on the upper right menu with the 3 dots and click on Support. Information on the current versions installed are found below and a button to update manually. You can get to know more about the latest firmware by going to the Pebble Blog site. Pebble Health was created by Pebble in collaboration with the Stanford University. You’ll be able to track your steps and your sleep with the use of Pebble Health. You may now get rid of your existing fitness tracker. You’ll no longer have to wear both a watch and a fitness tracker because the Pebble Time Round is both! 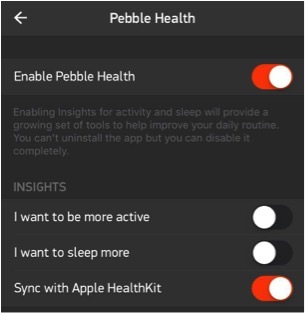 Go to Settings-> Pebble Health to enable Pebble Health. If you’d like to get insight notifications regarding steps or sleep, enable one or both of the options “I want to be more active” and or ”I want to sleep more”. Depending on what you choose, it will push notifications on how well you are doing to achieve these goals. This will integrate your Pebble Health data with your Apple Health app. If you are using other Health apps such as a fitness app or a nutrition app, check if they have integration with Apple Health. Apple Health can be your central repository of health data where you’ll be able to view all of your health data. Enabling Pebble Health can drain your battery more from up to 5% to 10%. I’ve been using both Misfit app and Pebble Health to track my steps and sleep. In the past I have found that the Pebble health app was generally more accurate. However, after the recent firmware updates, the accuracy of Pebble Health seems to be affected. The misfit app sleep tracking has become more accurate. Pebble Health stores historical data and you’ll be able to check your trend and track your progress against goals. The downside is that the more data you accumulate, the larger the Pebble mobile app becomes in your phone. You might be surprised that one day it will be taking up gigabytes of space. To check how much space each app is using in the iPhone, go to your iPhone’s Settings -> General-> Storage & iCloud Usage- > Manage Storage. If you want to save space, the only option is to delete the health data from you Pebble mobile app. And the only way to do this is by deleting the app from your mobile phone and reinstalling it. Don’t worry about your apps and watch faces. These will still be there once you login since these are stored online. However, some of your settings will be gone. There is a growing number of watch Apps available from the Pebble App store. Just be warned that the quality of some of these apps is questionable. Don’t expect this to be the same as the Apple app store. Unlike the Apple app store where there is a stringent review and approval process, you’ll soon find out that the Pebble app store is still lagging behind. To go to the Pebble App store, go to your Pebble mobile app -> Select Apps from the Menu below the screen -> Click the + Get Apps. It’s also not easy to find the good ones so I usually rely on reviews and the number of likes. 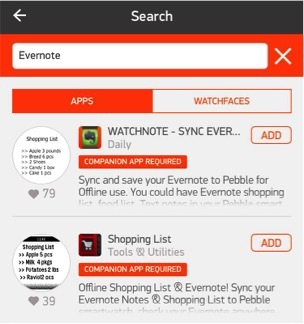 The screenshot of the Pebble App store above shows the number of likes next to the Heart. On the references section, you’ll find links to the best Pebble resources and each of them has a list of their recommended apps. You’ll find some apps that is marked in the Pebble store with “Companion App needed”. This means that an app needs to be installed on your mobile phone for this app to work. Some apps would need to be set as running in the background to maximise their features. There is one limitation that can be frustrating – only one app can be run in the background in the Pebble Time Round. This can limit using some of the apps’ features. You can choose the background app from Settings ->Background App. 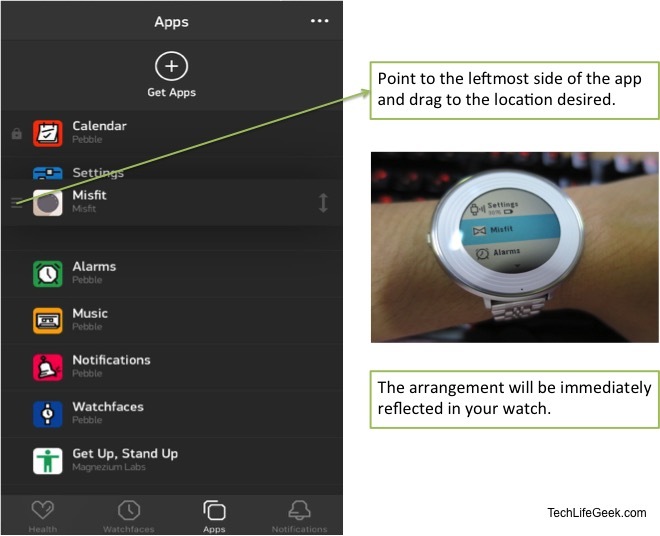 You can configure how the apps are arranged in your watch. You may want to have your most frequently used apps on top of the list. To re-order the apps in your watch, go to the Pebble Watch mobile app -> go to Apps -> then push on the left side of the app name and drag and drop it to its desired place. See below sample of the Misfit app being dragged. There are other health related apps available from the Pebble app store such as Misfit and RunKeeper that provides more features compared to Pebble Health. There are also other health apps that can augment Pebble Health. Below are some of the examples. Misfit tracks both steps and sleep where you earn points on the amount and quality of activity you do. I use it to compare accuracy with Pebble health. But the most important feature I use it for is the social function. I can compete with friends and compare my ranking with theirs or with the average user. The social function requires a companion app in your mobile phone. The companion Misfit app also has historical data for both steps and sleep. 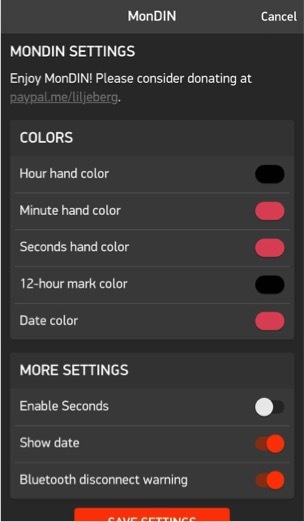 For this watch app to work, you will need to set it as a background app. 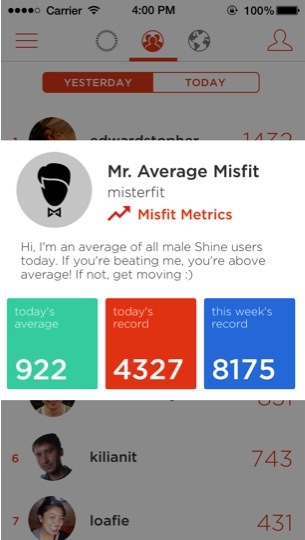 See below screenshot of the Misfit app that shows the average male performance. Morpheuz is a popular sleep tracking app and one of its most notable feature is the smart alarm where you can set your earliest and latest wake up time. This feature can either be helpful for you or may annoy you. Try it! This is a great app for those who are sitting all day at work. It works as a scheduler to set the schedule on when you want reminders set – for example weekdays only from 9am to 5pm. You can also set the intervals on when to remind you to stand up. It has motion detection to track if you have been sitting still for too long. But the motion detection will only work if you set this app as the background app. Do you need it? We all know that the Pebble Time Round’s battery life doesn’t last as long as the other Pebble watches. The Pebble Time round battery usually only last 1 to 2 days compared to the 7 to 10 days battery life of the other Pebble watches. Naturally, one of the accessories I bought was an extra charging cable. I was thinking that I need one at home and the other at the office or one that I can always bring with me to have that peace of mind. Now after months of using the Pebble Time Round, do I really need the extra cable? The answer is NO. I never had to use it at the office. The only time I got to use it was when I had to travel out of town. So my suggestion is don’t buy one unless your original one is dying or broken. Although a little bit pricey, this is the best accessory I can recommend for Pebble Time watches – Pebble Time, Pebble Time Steel and Pebble Time Round. The convenience it brings is priceless. The number one concern that most people have in considering the Pebble Time Round is the battery life. We all hate to have one more gadget to charge every night! I still struggle to keep all of my charging cables organised and I’m not ready to add another one to the pile. 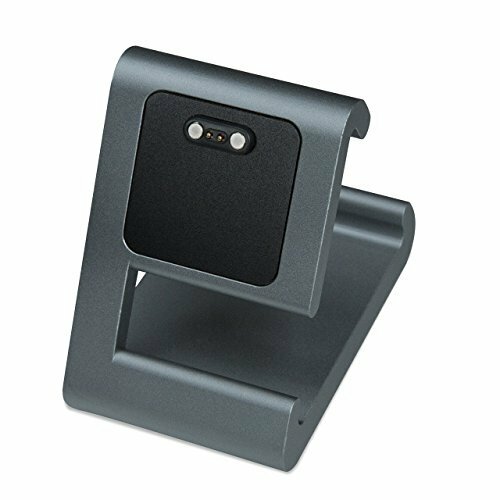 Using the TimeDock is very convenient, it uses a magnet to hold the Pebble Time watch securely against the charger. I’ll be publishing a review of this dock soon. Please subscribe to our newsletter to receive updates. I’ve been using the Pebble Time Round for months and there’s no single scratch on the screen yet. Even if the Pebble Time Round’s screen is not sapphire crystal, it held up after several months of daily use. Bottom-line is you really won’t need a screen protector. However, I still bought one just for peace of mind and have one less thing to worry about. A must-have tool so you can use standard watch bands. Watch bands made for Pebble watches use quick release pins to easily remove the bands by hand. 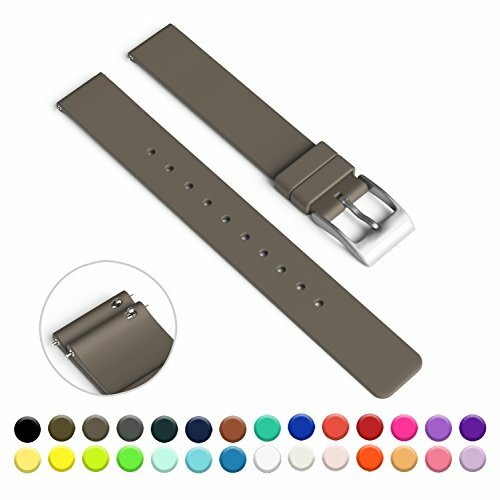 You can use standard watchbands for your Pebble watch that are typically available from watch shops. These standard straps don’t use quick release pins and use spring bars. You will need to use the spring bar tool. I have been using this tool for several months and quite happy. But there are more options available in Amazon including those that include extra spring bars. 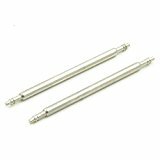 Check these other tools from Amazon.com. Some of these tools do not include spring bars and when you buy the standard bands, they don’t include spring bars. I had to buy these separately. Make sure you buy the right size – 14mm or 20mm for your watch. When you start installing the spring bars, be extra careful. Believe me, these bars can jump and get easily lost and they’re quite expensive per piece. Please make sure not to point the spring bars to your face. They can harm your eyes. My suggestion is to point it to a pillow or anything that can prevent it from jumping too far way. The more practice you do, the easier it will get. Every Pebble owner will not be able to resist changing out watchbands with the many available options out there. I am currently using 3 types of watchbands. 1. The Pebble original leather band that the watch came with. It looks great but it wears out easily. 2. Steel band or mesh. Elegant and versatile that can be used in many different occasions. And I like that it makes the Pebble Time Round look like a regular watch. 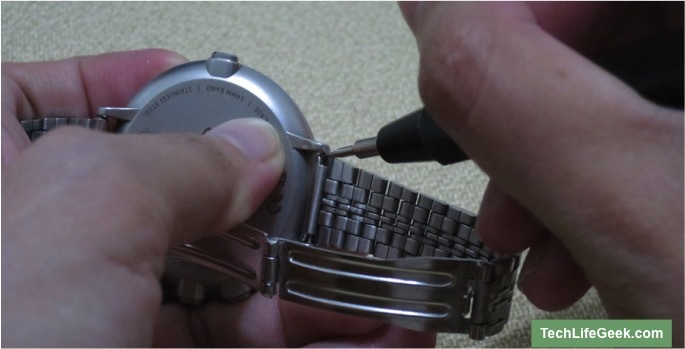 There is a Pebble Time Round metal mesh band but the silver is always out of stock. Whatever you do, do not buy the black one. There have been several reviews of the paint chipping off. There is no steel band offered by Pebble for the Pebble Time Round but there are many options. Check Amazon here for options. Make sure to select the right size for your watch – 14mm or 20mm. 3.Silicone bands. Great for daily use, these are lightweight and suitable for sports activities. GadgetWraps have good quality bands and lots of colors to choose from. Each band also comes with an extra quick release pin. The best colors I like are white, grey and taupe. With a shorter battery life, the Pebble Time Round would benefit the most from these features. Standby mode would automatically deactivate Bluetooth when it detects no motion for 30 minutes. Pebble estimated that this would consume 50% less power while on standby mode. To enable this, go to your watch Settings -> System -> Standby Mode. However, I do not recommend this to be always on to avoid frustration. I discovered that leaving it on all the time could mean frequent disconnect from Bluetooth even while wearing the watch such as watching movies, sitting at a desk, etc. I have this off by default. This literally means quiet time – once enabled the watch won’t interrupt with notifications. I usually enable this when sleeping or during important meetings. I have made one of the Pebble Time Round buttons quick launch to Quiet Time using the back button to have easy access. To configure Quiet Time go to Settings ->Quiet Time. Back button – Quiet Time – enables or disables Quiet Time. Up button – Notifications – View of notifications received. Middle button – Past timeline – to view past events. Down button – Alarms –to quickly create, update, enable alarms. This can be configured in Settings -> Display -> Motion Enabled. If on, a flick of a wrist would light up the watch. I have set this to OFF. This is to save battery and to avoid distractions such as lighting up the watch inside the movie house. When you need to turn on the backlight, just quickly push the back button. Some watch faces can drain the battery. Usually those with more dynamic information such as steps count, weather and second hand can drain the battery faster. Most watch faces can be customisable so you can remove the dynamic information and the second hand to get more battery life. Getting more watch faces is fun but it also slows down the Pebble mobile app so keep only what you use. You’ll find a lot of useful information for Pebble watches from the following resources. 1 Pebble Blog – The official Pebble Blog. 2 Pebblestuff – The authority site for everything Pebble. 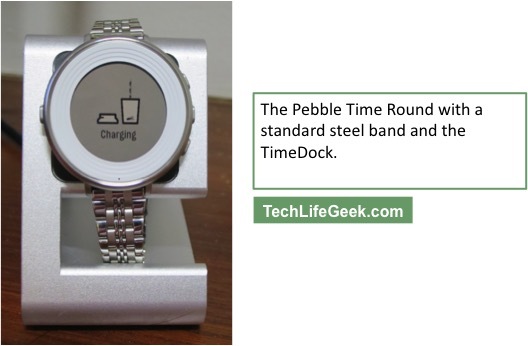 3 Wareable Pebble articles – Wareable is the authority site for smartwatches. This link includes all of their articles related to Pebble. Don’t miss our articles on Pebble. I will soon be featuring my take on the Best Analog Watchfaces for Pebble Time Round and a review of the TimeDock. Please subscribe to our newsletter to receive updates. If you have other tips or questions, please send through the comments box below.